And Leap Year’s February’s fine with 29. Medicare rations diabetes supplies on a strict 30-day or 90-day cycle. My Medicare suppliers are even worse and tend to think that months have 35 days and quarters have about 95-100 days. Unfortunately no one has communicated that to my diabetes which trucks along with a strict 24/7/365 (or 24/7/366 in a Leap year) schedule. I continue to rejoice that my Dexcom G5 CGM is covered by Medicare, but it has been frustrating that Medicare currently requires Dexcom to send out supplies monthly rather than quarterly. The personnel and shipping costs for Dexcom for this monthly distribution are probably substantial and every month seems to leak a few days between shipments. In 2018 most of my shipments were a couple of days to a week late and over the course of 12 months, I only received 11 Dexcom shipments. My guess is that my experience is reflective of that of most Medicare beneficiaries. That means that Dexcom lost one monthly subscription fee for each of us and that is a lot of money for a small company. I was lucky to come into Medicare with a cushion of CGM supplies and I have been okay with constantly late deliveries. I also know about Spike and xDrip where you can reset G5 transmitters to last longer than the software-mandated death of 90-104 days. But some Medicare users have had to go without their CGM when sensors and particularly transmitters have been delayed. There is sometimes an excuse such as backordered transmitters or insurance verification. This month I placed my order on the designated day and the very nice Dexcom rep offered no excuse when she said it wouldn’t ship for another week. I have been most impacted by pump supplies. I went on Medicare in April of 2017 and I received my 4 boxes of pump supplies like clockwork. Medicare strictly requires that each infusion set will last 3 days and allows no cushion for painful or failed sites. Or aging skin and tissue which require 2 day sets changes. Or steel cannula sets which mandate a 2 day change. In 2017 my doctor’s letter of medical necessity for 4 boxes instead of 3 was accepted and I got the needed supplies. My first order of 2018 was shorted a box and the supplier was unwilling to work with me to override the restriction. I switched suppliers and seeming the override was fine. But they sent the order 10 days late. In infusion set language, 10 days is half a box of supplies for me. Then 3 months later, they wouldn’t send my order until 92 days had passed. Then the next order was another 10 days late. I have recently switched to Tandem TruSteel sets and seem to have better insulin absorption than with my previous VariSoft sets. And guess what! You can move the needle part of the set, reinsert it, and tape it down to get another day or two from the set. After two days, 90% of my TruSteel sites are slightly inflamed. So you go, Grandma!. Pull out the needle and tack it into another location. So far I have had no real infections and fortunately am very pain-sensitive and don’t try to extend puffy sites. But we all know that one ER visit or hospitalization would quickly blast past my Medicare-approved cost of $5.91 per infusion set. Meanwhile diabetes keeps trucking along. 1, 2, 3, 4…..90 days. If I did not extend infusion sets and have a stash, I would run out of supplies. Medicare teaches you to lie. When you call your supplier to renew your 90-day supply, you can’t have more than a week (or is it 10 days?) worth of pump supplies in your D-tub. I would never in a million years be comfortable being down to 3 or 4 infusion sets before ordering more. With Dexcom the policy seem to be more liberal and I can get 5 sensors and 3 boxes of test strips if I am out of supplies. But even a failed transmitter doesn’t seem to get me better than 3-day shipping. My suppliers have failed me in the past and I don’t trust them to bail me out in an emergency. So I always tell them that I have fewer supplies than I really have. Because…. I have never sold excess supplies and I no longer share excess supplies. But as someone who has lived with Type 1 diabetes for 42 years, I know that I cannot risk being without insulin for 5 minutes or pump supplies for 5 hours or CGM supplies for 5 days. One of my Medicare diabetes online friends once told me that every 90 days she feels as though she is recreating the wheel and resetting her diabetes life. With Dexcom it is every 30 days. I get it now. That’s the game. And that is the game I play. Okay. Let’s talk about Basic Medicare** and the Dexcom G6. Then let’s talk about Basic Medicare** and Tandem Basal IQ. And then let’s just admit that we don’t know the answers to our questions and that we’re not going to get answers in the next 5 minutes. Yeah, I don’t have a clue. As someone on Medicare I’ve felt left out in some of my Facebook groups recently. In the Dexcom D5/G6 Users group and the DEXCOM G6 group, the vast majority of topics are about the G6. Do you like it? What is great? What is terrible? Adhesives, accuracy, and sensor longevity. Insurance and supply issues. The Tandem tSlim Pump group is all about Basal IQ with the majority of users stating that it is fabulous. There are questions about how it works and at what point basal insulin is suspended and then resumed. Stories about climbing Mt. Everest and others wondering about how to coordinate the prescription from their doctor, the training, and the software download. I don’t fit in anymore and I have no advice to give. In fact I am a little bored in these groups and mostly not checking in. You see—I’m on Medicare. I don’t have the Dexcom G6 and my Tandem X2 t:slim pump is not updated to Basal IQ. I am not whining. Okay, maybe I am–just a little. But mostly I am just stating facts. After weeks of rumors, it was officially announced on October 16 that Medicare will begin covering the Dexcom G6 for Medicare recipients. The nitty-gritty has not been worked out but it is estimated that April 2019 is a reasonable target date. That sounds very straight forward but I worry that it is not. The elephant in the room for those of us on G5 is The Receiver. In January 2017 after the initial approval of the Dexcom G5 by Medicare, I wrote a post titled “Medicare and CGM Coverage: Love Your Receiver!” and explained how Medicare justified the approval of the G5 as Durable Medical Equipment (DME) because the receiver had an estimated 3-year life. Therefore for those of us on Medicare, the G5 receiver has a 3-year warranty. Although we are now allowed to use our smart devices to read our G5 data, Medicare regulations still state that the smartphone is used “in conjunction with” the receiver. And FDA approval of both the Dexcom G5 and G6 requires a receiver to be provided as part of the initial bundle. I have an old-style Dexcom G5 receiver that cannot be updated to G6 in contrast with the newer touchscreen G5 receiver that can be updated remotely to G6. Medicare through stupid regulations that I don’t understand does not allow Medicare recipients to participate in manufacturer upgrade programs. Thus Dexcom cannot give me the option of paying $100 or $25 or whatever to exchange my dated receiver for a touchscreen G5 or G6 receiver. Technically my G5 receiver is warrantied for 3 years and I can’t upgrade it. Am I going to be able to switch to the Dexcom G6? Interestingly, the Dexcom press release only addresses the transmitter and makes no mention of the receiver. Without knowing the details of Dexcom/Medicare negotiations, I have no way of knowing my status. Is everyone forgetting the FDA requirement of the G6 receiver? Is Dexcom going to provide G6 receivers to current G5 users at no charge? Will I get a G6 transmitter and sensors without a receiver? IMO there is no way in h*ll that Medicare will pay for another receiver. Because the Medicare/Dexcom relationship is on a subscription basis, will all of the previous rules about upgrades be thrown to the wind? If I were not using a Tandem X2 pump, I would not care much about using Dexcom G6. I look forward to an easier insertion and no required calibrations with the G6, but neither is a huge deal for me. But I really look forward to updating my Tandem X2 pump to Basal IQ which automatically shuts off basal with predicted lows. And then the future Control IQ which will function as an early generation artificial pancreas. Since then I have heard nothing. Frankly I think that the current Tandem policy regarding Medicare is: “Live and let live.” Some people are being told by their Tandem reps that it is okay to use their pump with Dexcom. But I do not think that is true because there has been no official announcement allowing the pump as a Dexcom receiver. At the same time there is no enforcement of the policy and Tandem is not sending reminder emails about Medicare. Although one part of me thinks that it is poor customer policy that Tandem is not communicating with Medicare recipients, the other part is okay with just ignoring the problem. Unfortunately the problem of Tandem and Medicare will come to a head when the Dexcom G6 is distributed to Medicare users. Will we be allowed to download the Basal IQ software update (which requires G6) to our X2 pumps? Tandem has said nothing and unfortunately IMO it would be a total violation of current Medicare policies to allow the update. Once again we don’t know the answers. No answers to who, what, when, where, why. Fingers crossed for the ability of those on Medicare to benefit from the latest and greatest in diabetes technology. ** Please note that although Medicare Advantage plans must cover everything covered by Basic Medicare, they may have more flexible policies than Basic Medicare and provide more benefits. Currently some of these plans are already covering the Dexcom G6, but most are in line with Basic Medicare. A while back I wrote about how arthritis was messing with my life. I complained about sore feet and sore hands. If I had written the post at 2:00AM I might have described sore feet, sore hands, sore back, sore hips, and a sore soul. Despite all of that, I feel okay most of the time. But I am not stupid and know that I need to make lifestyle changes to help reduce joint pain. As someone who has lived with Type 1 diabetes for 41 years, I have gotten used to the idea that more than doctors and pills, I am the one in charge of my health. I make the conscious decision to monitor my blood sugar, eat reasonably well, and optimize my insulin regimen. But as I look at the last 4 decades, I strongly believe that I am healthy today because of exercise: tennis, golf, hiking, dog walking, step classes. Unfortunately I am finding that arthritis demands that I no longer hike 12 miles in the Arizona mountains or walk 6 miles on my hilly Minnesota golf course. Weight lifting benefits my biceps but my hands suffer. Planks and push-ups strengthen my core, but my elbows and shoulders rebel. Almost everything bothers my feet. One of the benefits of my Medicare supplement plan is Silver & Fit where I can join a health club for free. In 2017 I selected the nearby Lifetime Fitness and enjoyed cardio, strength, and cycling classes. Unfortunately this spring I began to realize that despite trying to modify exercises to my capabilities, these classes were too taxing on my joints. Thanks to a local diabetes friend, I was persuaded to check out the Southdale YMCA. She has belonged there for years and calls it her “home away from home.” She mailed me a copy of the long list of fitness and pool classes, some designed for seniors and others targeted for exercisers of various ages and fitness levels. After being faced with the possibility of both foot and hand surgery, I determined that it was time to check out the Y.
I stopped by one rainy morning in May and was immediately welcomed and taken on a tour. With little hesitation I joined on the spot. Fate determined that my free orientation session was with a trainer who happens to have a sister with Type 1 diabetes! We talked about exercise and low blood sugar and she showed me the stash of glucose tabs in the file cabinet at the fitness desk. The senior exercise classes are organized under an umbrella of ForeverWell. There are three activity tiers: Just Getting Started, Already Active, and Exercising Regularly. Aging, illness, and surgery can shift you from one category to another and the boundaries are fluid. I am a good fit for “Exercising Regularly” classes and faithfully attend ForeverWell Yoga and occasionally ForeverWell Strength. I also participate in several cycling classes each week. ForeverWell Yoga: Imagine a studio filled with 75 people over the age of “don’t ask-don’t tell” and many well into their 70’s and maybe 80’s. You need to arrive early to get a spot although no one is ever turned away. The instructor uses kindergarten teacher skills to quiet the noisy group to get started at 8:15 on Tuesdays and Thursdays and reminds us to take care of injuries and sore joints. A long warm-up is followed by instruction in poses that increase strength, flexibility, balance, and mental health. There is something really inspiring about seeing a roomful of seniors in child’s pose or warrior two. I plan my life around never missing this class and I always leave feeling better than when I arrived. ForeverWell Strength: This class is mostly attended by women with an occasional guy hanging out in the back row. The formula is a step warm-up, strength work with weights and an elastic band, various exercises with a small ball, and then a cool down. None of it is hugely difficult, but the always-moving and always-smiling instructor keeps us on the go and I get a good workout. When I attend this class, it means that Abby the Black Lab misses her morning walk with friends at the dog park. My health versus the dog’s happiness. It’s a tough choice except on rainy days. Studio Cycle: Studio cycling gives me an intense cardio workout without the pounding of running, hiking, and step classes. The bikes are a tech wonder where I enter data about myself and get a personal fitness number to measure whether I am in the target zone of white (take a nap), blue, green, yellow, or red (Ferrari). Each of the many different instructors has pushed me to test my limits while pedaling and sweating to great music playlists. Other Classes: The Y class schedule is amazing with 12 to 30+ classes offered daily and I am in no danger of running out of things to try. Although I lack motivation for individual workouts, many people lift weights, use fitness machines, swim laps and do all sorts of things apart from organized classes. Of course the YMCA is not only for seniors. I enjoy the age, race, and fitness diversity of the membership and have been happy to see kids everywhere this summer. I see lots of uber-fit young adults and fondly remember those days. But the magic of the Southdale Y for me is that it embraces seniors. It is a social club with coffee and newspapers in the lobby. The prequel to yoga class is a noisy affair where new and old friends chat and laugh. The fitness area revolves around one longtime Y member who spends his mornings on a rowing machine and attracts a steady stream of chitchatting visitors. The friendliness is contagious and on my second visit to a noontime water aerobics class, I was invited to join the group that goes out to lunch once a month. The ForeverWell Newsletter mentions things like bingo, hearing screenings, and balance classes—things that you expect to see at a senior center. But it also offers an Al and Alma’s Lake Minnetonka Cruise, a trip to Winona, and an invitation to help landscape the exterior of the building. This talk of senior fitness and community is a bit schmalzy but I know that my mother’s senior years were lonely. She would have been happier and healthier with daily interactions with other people. I remember when my in-laws moved into an assisted living facility and my father-in-law felt alienated because the residents looked so old. Of course they were no older than he was, but he didn’t see that he was “them.” What I love about the YMCA is that I look at “them” and am comfortable being “them.” I am in the early years of being a senior, but I see respect for every person of every age and every level of health and fitness. I don’t see condescension towards older people or actually towards any people. Everyone is welcomed and appreciated at the Southdale YMCA and I am glad to be part of the Y community. Yesterday a couple of diabetes friends on Medicare got in touch with me to see how things were going with the reorder of my pump and CGM supplies. A second friend checked in through Messenger giving me an update of his D-life and indicating that everything was going smoothly with his Dexcom orders and his life in general. A few hours later things fell apart and my smiles turned into grimaces of frustration. And here I am writing a blogpost. Let me say that my supply orders are not completely straightforward. I am lucky to escape the cold and snow of Minnesota in the winter and spend several months in Arizona. I am paranoid about medical supplies ending up frozen on my front porch in Minnesota and always double-check with suppliers that they are using the Arizona address. Secondly I am at a stage in life that I need to change my infusion sets every 2 days. My skin and tissue have gotten less durable as I’ve aged and 3-day sites leave me with inflammation at the insertion site, itching and rashes, occasional bleeding, and poor absorption. Fortunately I had been warned in December that in 2018 Medicare was only covered 30 infusion sets every 90 days and I needed physician clinical notes to override that restriction. At my December endocrinologist appointment, I discussed this with my doctor and ensured that she included this in the visit notes. Before I describe my supply woes, I should say that it is not all Medicare related. Unfortunately lots of people with diabetes struggle with insurance and suppliers to get their supplies. I have been uniquely lucky that I never had problems before getting to Medicare. I am someone who had fabulous service from the universally-hated Edgepark and never had my insurance question anything. My orders reliably arrived 3-4 days after ordering. I am new to waking up in the middle of the night and worrying about getting the correct supplies (and enough supplies!) at the correct location when I need them. You don’t need all of the details, but both Dexcom and CCS Medical have emailed and called several times in the last 10 days, each time with a different rep and no realization that the order has been already been discussed and finalized. A Dexcom rep called me yesterday afternoon to see if I was ready to confirm my supplies for this month. I said it had already been done but went through everything with him and confirmed that the order would be shipped to Arizona. An hour later I received an order confirmation shipping to……Minnesota. I called Dexcom and spoke with another rep who had to once again confirm the supplies I needed. She placed a new order and canceled the order going to Minnesota. I think everything is OK and it only took 4 phone calls and 3 emails. And in 3-1/2 weeks I get to do it again! CCS Medical has been equally attentive as I have received multiple emails and spoken with three different reps about my order. The first rep took my information, changed the shipping address, and indicated that I would only get 3 boxes of infusion sets. She told me that once my doctor’s clinical notes were received, I would be shipped the additional supplies required. A few days later a young man from CCS called and asked if I was ready to order. I said that I had already ordered but we went through it again. He confirmed that I would get 4 boxes of infusion sets so I assumed that they had received my doctor’s notes. After the Dexcom mess yesterday, I went online and checked my CCS order and saw that 3 boxes of infusion sets and cartridges were being shipped. But at least they were going to Arizona!. I called CCS. This rep confirmed the 3 boxes and said that there was no record of the young man’s call on Monday. She said that he didn’t work for CCS?!? She also said that my endo had not submitted clinical notes. My endo’s office historically gets an A+ in promptly submitting required medical orders and clinical notes for my diabetes tech and supplies. But I called and faxed the office this morning and asked that the needed info to be sent to CCS again. I will keep following up with CCS because I absolutely require more than 30 infusion sets for the next 90 days. My Thoughts: Medicare has not been horrible in providing what I need to stay healthy with Type 1 diabetes. Compared to many people with diabetes around the world, I am still a privileged patient. The issue has been that it takes a lot more work to ensure that I get what I need and what I am owed. Diabetes is always in the forefront because I have to keep checking that things are being handled correctly. It is like my life resets every 90 days and I have to start from scratch again. I have to see my endocrinologist every 3 months instead of my normal every 6 months. Now with Dexcom it’s a 30-day cycle due to Medicare rules. My blood glucose numbers are similar to my pre-Medicare numbers. But diabetes is in my face all of the time. It is a bigger burden and I worry more. But tomorrow I am going on a 9-mile hike. I have what I need today and tomorrow. So FU Diabetes and Medicare and Dexcom and CCS. I’ll deal with you next week. Ordering a Medicare Dexcom G5: What’s the Story? Background: In January 2017 it was announced that Medicare would begin covering the Dexcom G5 as a “therapeutic CGM” for patients with diabetes who met certain conditions. After months of delays where CMS, Dexcom, and Liberty Medical struggled to establish reliable procedures, we are now at a point where some Medicare beneficiaries are receiving Dexcom G5 bundles with payment by Medicare. I say “some” because Dexcom is totally overwhelmed by the demand estimated to be at least 20,000 patients. If you are expecting this blogpost to be a “How To” manual, you will be sorely disappointed. I am going to share my experience along with the stories of Medicare beneficiaries who have had an easy time getting their Dexcom Medicare bundle and those who have had or are having a horrible experience. I will provide some information that may be helpful, but I do not think that there is a magic formula for success. As I write this post, I do not know how to categorize my journey. I am 6 weeks into the process. I’ve made progress but I’m mostly mired in a black hole of no information with unanswered voicemails and emails. Are there characteristics that separate the successful people from the chumps? Not from what I can tell although it is an absolute necessity that your doctor fill out forms correctly. Other than that, I think that placing a Dexcom G5 order under Medicare is a crapshoot. Some are lucky. Others are not. I don’t have statistics on how many people are having an easy time getting their CGM versus those struggling mightily. People having a bad time are more likely to be online complaining and looking for help and I have seen a lot of negative stories. Before I go too far I want to emphasize that I am a huge fan of Dexcom. After a few rocky years using Medtronic SofSensors, I switched to the Dexcom 7+ in 2011. The good results with that device were magnified with the release of the G4 in 2012 and my life was changed. The proof of success is I have not needed my husband to get me a glass of juice since 2012. I get lows but my Dexcom warns me in time to treat them myself. These are the people we want to be. Refills: Once you get in the system, supply refills are mostly a seamless process. IMO the Medicare requirement for monthly shipment of CGM supplies versus the quarterly shipment of pump supplies puts an undue burden on Dexcom and is slowing their ability to supply more Medicare beneficiaries. It is unrealistic to think that Dexcom can immediately process the orders of everyone on Medicare who qualifies for a therapeutic Dexcom G5 system. At the same time Dexcom needs to communicate better with those of us who contact them. After my initial call it took several weeks for the assigned sales specialist to call me. After a first conversation with him and signing the AOB, I received an email: “We have a new update regarding your pending Dexcom order. We have recently requested new or additional documentation from your Physician’s office. We will notify you again once we have the approval.” That was great and I thought I was finally in the information pipeline. That was 3 weeks ago and since then nothing. My account shows no open orders and my sales rep neither returns phone calls nor answers emails. My endocrinologist submitted my paperwork early in December. Calling my rep last week I was put on hold and hung up after an hour and ten minutes of piano music. I then called customer service who indicated that my endo’s paperwork has been received and they will follow through with my rep. I think that it is a realistic ask of Dexcom that once we initiate a Medicare order that we be able to see the status of the order online or at least receive regular updates. My history is that of a “privileged” patient with Type 1 diabetes. I have had good insurance. My endocrinologist submits needed documents on time. Every pump and CGM that I have ordered has arrived within a week. Since 2011 I have had consistently good service from Dexcom. Even now everyone I talk to is friendly and helpful. I don’t like to be crabby. Call Dexcom at 888-736-9967. Select Option #1 to place an order and then Option #1 again for Medicare. Another option is to submit your preliminary information online. A Medicare representative will take your Medicare and other insurance information and you will be assigned to a Medicare Sales Specialist. You will be contacted and required to sign a form: Medicare Assignment Of Benefits, Authorization For Release of Information, and Acknowledgement of Rights and Responsibilities. This is a typical insurance form with the added provision that you promise to only use the Dexcom receiver and not use any smart device with your G5 system. Your doctor will be sent the medical forms required by Medicare. He/she will complete them correctly and return them quickly. You will receive a notice that your Dexcom G5 system is ready for shipment and a package will be on your front porch in a couple of days. Thanks to everyone who shared their experiences.. I couldn’t include every quote, but your stories are important. We are making history—sometimes painfully—as we are the first to receive routine Medicare coverage for our continuous glucose monitors. Negotiations between Dexcom and CMS addressing the requirement that Medicare beneficiaries use only the Dexcom receiver have reportedly not been going well. Diabetes Patient Advocacy Coalition (DPAC) has organized a campaign to lobby our congressional representatives to have this policy changed through legislative action. To read an overview of the issue and easily contact your members of Congress, download the DPAC app on your phone or tablet or go to the DPAC website. Ed Tepper of Glen Allen, Virginia is affected by the smart device restriction and has chosen to advocate for change. Coming from a family with a strong history of Type 2 diabetes, Ed was diagnosed with T2D 11 years ago. After developing neuropathy in his feet, Ed worked with his endocrinologist to intensively manage his blood sugars using insulin therapy in conjunction with a CGM. In addition to being an outspoken advocate for people with diabetes, Ed is an active cyclist and triathlete. Here is Ed in his own words followed by the informative presentation he shared with one of Senator Tim Kaine’s staffers. Medicare’s restrictive policies regarding Continuous Glucose Monitors put seniors at risk and potentially raise the overall cost of diabetes management. Meeting with Marc Cheatham, Staffer for Senator Tim Kaine of Virginia. November 28, 2017. Disclosure: I am an individual who is living with diabetes and is concerned that Medicare’s restrictive policies regarding the use of CGM’s will adversely impact my ability to stay healthy. I am not employed or otherwise associated with any company that manufactures or distributes CGM’s or related items. I am currently covered by Medicare Part A, Part B and Part D and have a Medicare Supplement policy. What is a Continuous Glucose Monitor (“CGM”)? A CGM is an FDA approved device that provides continuous insight into glucose levels throughout the day and night. The device displays information about current glucose levels and the direction and speed of change, providing users additional information to help with their diabetes management. The CGM consists of three components: the sensor that is inserted subcutaneously, the transmitter that sends data from the sensor to a receiver, and the receiver. To Medicare’s credit, in 2017 they started covering the cost of one model of CGM, the Dexcom G5. However, they have place restrictions on how we must use the CGM that causes undue inconvenience and creates dangerous situations for Medicare recipient users. I have been using the Dexcom G5 CGM for about 2 years now (before being covered by Medicare starting September 1, 2017). I started using the CGM because I developed neuropathy in my feet and in consultation with my endocrinologist decided that I needed to maintain better control over my blood glucose levels. Using the CGM has helped me understand how insulin, food, & exercise affect my glucose levels and I’ve learned to adjust the three to maintain a more equal levels of blood glucose throughout the day. It also alerts me when my glucose levels are lower or higher than I want or are falling or rising too fast. Before being covered by Medicare, I used the FDA approved Dexcom smart phone app and an FDA approved integrated insulin pump to read the CGM data. Medicare has taken those options away from me and now I can only use the receiver that comes from the CGM manufacturer. In addition to the inconvenience of having to carry and care for another piece of equipment, not being allowed to use smart phone and integrated pump technology can create health hazards for Medicare recipients using a CGM. –Caregivers cannot use the Dexcom Follow App, which allows up to 5 people to remotely view CGM data. The Dexcom Follow App can alarm the caregiver when blood glucose levels are out of the accepted safe range so that the caregiver can immediately contact the person with diabetes (or emergency personnel) to prevent severe hyper- or hypoglycemia. –People with diabetes cannot use the Dexcom G5 Mobile App, which shows real-time data on a smartphone or tablet with the ability to create custom volume alarms and vibrations. –People with diabetes cannot use a smartwatch to access either app. The smartwatch will vibrate on an individual’s wrist when the blood glucose is outside of a safe range. For individuals who are deaf, hard-of-hearing, or asleep, the haptic (small vibrations on the wearer’s wrist) is needed to ensure that they respond to the alarm. –Integration of CGM data into insulin pumps is prohibited for people on Medicare, which is currently available for the rest of the diabetes community. As the pathway to hybrid- or closed-loop artificial pancreas technology needs CGM data to be effective, CMS is preventing Medicare beneficiaries from using CGM integrated insulin delivery devices to stay safe. These restrictions have already caused life threatening situations in real life. For me being restricted to using the Dexcom receiver is a real issue when I’m outside. I’m an avid cyclist and triathlete and I’m very hypoglycemic unaware. That means that I cannot feel having low blood glucose levels until the levels approach being dangerously low. Pre-Medicare I used the phone app because it sync’d to my sports watch which vibrated when the app triggered low glucose alerts giving me advanced warning that my blood glucose levels were falling and I needed to eat. The Dexcom receiver is difficult to read in bright daylight and its alarms are not as noticeable when exercising. Since being on Medicare, I’ve been surprised by low glucose levels more than once while cycling. That’s a very dangerous situation because I could lose the ability to control the bike and … well the results wouldn’t be pretty. CGM’s Can Reduce Overall Costs. The Economic Cost of Diabetes is Staggering and Growing. According to the Centers for Disease Control & Prevention, National Diabetes Statistics Report, 2017, (“CDCP Report”) the cost of diabetes care in 2012 was $245 Billion. The American Diabetes Association (“ADA”) estimates the current cost at $322 Billion per year. Emergency room visits in 2014 included 245,000 cases for hypoglycemia (low blood sugar) and 207,000 visits for hyperglycemia (high blood sugar). That’s almost one-half million emergency room visits for diabetes care. (Source: CDCP Report). The ADA estimates that 30 million Americans are affected by diabetes, that’s 1 in 11 Americans. Complications people living with diabetes can suffer include: Stroke, Blindness, Kidney Disease, Heart Disease and Loss of Toes, Feet or Legs. Use of a Continuous Glucose Monitor (“CGM”) can reduce the onset of complications and reduce overall cost of diabetes care. Medicare must change its restrictive, dangerous policies regarding the use of CGM’s. It must allow the use of available technology approved by the FDA, including smart phones and watches and integrated insulin pumps. It must cover all CGM’s approved by the FDA, not only the Dexcom G5. It must make the changes NOW. Although those of us on Medicare are thankful that CMS now covers the Dexcom G5, many online discussions are angry and focused on the frustrating regulation that we are not allowed to use our smartphones, smart watches, and pumps as receivers. I wrote a blogpost about this in August and unfortunately there have been no changes to the policy. In fact the most recent news indicates that legislative action might be required to pull Medicare into the 21st century and mobile health technology. One thing that I have learned in recent months is that I need to stop saying “seniors” in connection to Medicare. Several people I’ve communicated with about this article are on Medicare due to disability and are not yet 65 years old. At the same time, most of us in the Seniors with sensors (CGM’s) Facebook group are 65+ and have lived with diabetes for a long time. Carol W and I are email friends—the digital age version of pen pals. She has had Type 1 diabetes for 55 years since age 5 and qualified for Medicare 12 years ago due to diabetes-related vision loss. For many years Carol has lived in the no-win zone where she needs tight control to manage current and avoid future complications while trying to avoid life-threatening lows. Carol lives alone and in February had a severe overnight hypo resulting in a hit to her head, two black eyes, and severe leg seizures. She doesn’t remember the fall. Her only recourse at that point was to begin setting an alarm for 3 AM to ensure that she was okay. Although Carol and her doctor knew that a CGM would greatly benefit her, she was unable to afford the device without coverage by Medicare. Fast forward to today. Carol received her Dexcom G5 kit in September. Unable to get training at her diabetes clinic for at least two months, she overcame her fear of the insertion needle and started her first sensor with a Dexcom trainer coaching her over the telephone. Some of Carol’s remarks illustrate the life-changing benefits of CGM coverage. I met Nolan through Facebook and we chat periodically through Messenger. Nolan has had Type 1 diabetes for over 50 years. He has used an insulin pump for 25+ years and a CGM for 8+ years. CGM’s have protected Nolan from severe overnight lows and allowed him to sever his relationship with the local EMS and fire department. Because of the importance of a CGM for his safety, Nolan was self-funding his Dexcom for the last two years. This was stressful for the household finances because he is retired with a limited income. Nolan has experienced the gamut of Medicare CGM experiences. He was one of the few seniors who received G5 supplies from Liberty Medical in the few months that it was the Medicare supplier. Because of no Medicare reimbursement for the starter kit, Nolan was afraid to use the supplies until October when Liberty assured him that he would not be responsible for the cost. A few weeks later Nolan sounded the alarm that “Big Brother is watching” as he got a call from Dexcom indicating that he was on the list of non-compliant seniors using the G5 mobile app. Although he had been using supplies purchased prior to Medicare coverage and thought that was allowed, Nolan learned that we must delete the G5 app from our phone as soon as our Medicare G5 kit is shipped. Violators were warned that if they were flagged again, Dexcom would no longer provide them with Medicare supplies. Diagnosed at age 41, Carol G has lived with Type 1 diabetes for 31 years. She uses multiple daily injections and had never used a sensor prior to Medicare CGM coverage. She knew that she was losing her ability to sense low blood sugars but was uncomfortable with paying out of pocket for a Dexcom. Carol has been blown away by what she has learned since starting to use a Dexcom G5 in late August. She immediately began to see rollercoaster highs and lows that she had no idea were happening between finger pricks. Although disappointed that the Omnipod is not covered by Medicare, she is seriously looking at pumps as the best way to smooth out her blood sugar. Carol had an unhappy learning experience twelve days after starting her CGM. She accidentally dropped her receiver into the dishwasher where it irreversibly died! Dexcom offered a one-time receiver replacement cost of $200 and after nine very anxious days, she was back to using her G5. Lloyd has had Type 2 diabetes for 23 years and I shared his story in an October blogpost. Lloyd has been amazed at the accuracy of his new Dexcom G5 and has identified previously unrecognized lows. He finds that the “load” of managing diabetes seem heavier as a senior. Kathy is on Medicare due to disability and has lived a nightmare trying to get CGM coverage since Dexcom does not have a contract with her Advantage plan. She is grateful to have access to supplies comped by Dexcom and is looking for a new insurance plan for 2018. Kathy is the poster child for learning a lot about “her diabetes” through CGM use. Sharon lives with diabetes because of the surgical removal of her pancreas 20 years ago. It took 3 months for her to receive a Dexcom due to the distributor asking for BG logs and doctor notes, then signed logs and signed notes, and finally dated signed logs and dated signed notes. After starting to use a G5, Sharon quickly lowered her A1c from 8.3 to 6.8. She personally is not bothered by the inability to use a smartphone but feels strongly that Medicare beneficiaries deserve access to current technology. Medicare coverage of continuous glucose monitoring is not perfect. There are wrinkles and delays in obtaining coverage. The inability to use mobile technology is nonsensical. It is frustrating not to be able to use a Tandem X2 pump as a receiver and to not have access to the Dexcom touchscreen receiver. At the same time CGM coverage is life-changing for Medicare beneficiaries with diabetes. Every person who contributed to this post is living with less fear, more safety, and the ability to live a more normal life. Many people are seeing immediate improvements in their diabetes numbers along with a new understanding of the journey that is “their diabetes”. Yes, there is work to be done. But we are on the right path. For the first hour I received an unbroken every-5 minute tracing of my Dexcom readings. After that it went haywire and I got only 2 readings in the next hour. I continued to get multiple Out of Range alerts as the day went on. When you use a tubed pump, your pump is never far away from your CGM transmitter. My Tandem pump was in a pocket. My Dexcom transmitter was on my arm. My iPhone was on the table, in a pocket, in the kitchen, in my purse and not missing a dot. The pump was struggling with 12 inches. I called Tandem twice over the next couple of hours and with a little troubleshooting it was apparent that I shouldn’t be having such problems. As always, the Tandem reps were helpful and the second rep indicated that many similar problems had been solved by a new transmitter. My current transmitter has been in use for a month and seemingly fine, but I wasn’t going to argue with trying a new transmitter. I received the new transmitter on Saturday and will begin using it with my next sensor. Meanwhile I have begun to get better communication with my Dex sensor, but it is not because the pump is better at picking up the signal. It is because I am making changes. I initially kept my pump in my left front pocket with the sensor on my right arm. I am now wearing the pump clipped to my waistband on the right side. I still lose signal when I sit in my normal “easy chair” and my arm is against the back cushion. (My phone does not lose signal in this scenario.) But I am getting better at moving to the right side of the chair and keeping my arm on the armrest so that the transmitter is not obstructed. I prefer my pump in my pocket, but I can get used to the waistband. Basically I am being flexible to make things work. Somehow every change I make impacts something else. Wearing the pump on my waistband has brought back the problem that the clip on the new case is neither tight enough nor long enough to keep the pump secure in the vertical position. Over two days it fell off 5 or 6 times and was saved from hitting the floor only by yanking on my infusion set. Miraculously the infusion set never ripped off. I decided to do a hack of adding a piece of Velcro to the tip of the clip. Bad hack. The Velcro made it difficult to slide the pump onto my waistband. Ultimately I broke the clip off the case by trying to open it wide to pull onto my pants. Definitely user error and because I was given the case for free, I will eventually just order another one. Second hack. I am back to using a Nite Ize Hip Clip that is attached directly to the pump. When I used this clip a few months back, it also tended to fall off my waistband but not as badly as the Tandem case. This time I put a small piece of Velcro on the pump side of the clip and it hasn’t fallen off once. Of course so far it is only a 3-day experiment. I am not done yet with figuring out a case hack and think it will involve a Nite Ize clip attached to the Tandem case and a small piece of Velcro. Or maybe just Velcro attached to the case using the Tandem clip. Although the Hip Clip attached directly to the pump is working OK, I prefer the protection of a case. My false occlusion alarms were eliminated by using a case and I am hesitant to go without one. I’ll definitely write another blogpost once I decide on an ultimate fix. I like having my G5 information on my pump and I will continue to be as flexible as possible to make it work. Although there is some frustration that my relationship with the X2 is a bit temperamental—first due to occlusion alarms and now to CGM reception—I am still very happy with the pump. In general if I go back and look at the various pumps and CGMs that I have used since 2005, they have all required me to learn, change, and be flexible to ensure success. Now I get to the nitty-gritty of this newest update. What are the Medicare repercussions??? I’m flexible, but I can’t say the same thing for Medicare. I have discussed more than once the stupidity of the Medicare ban on smartphone use for Dexcom G5 users. I’m not going there today. However, I have been hoping that because the Tandem X2 is durable medical equipment (DME) and not a smartphone that I will be able to use it as my CGM receiver instead of the Dexcom receiver. Unfortunately I have heard from several sources that Dexcom is instructing Medicare customers that current Medicare instructions mandate use of the Dexcom receiver. I suppose justification for that comes from the first sentence of the Noridian document: “The Dexcom G5® Mobile CGM System is currently the only FDA-approved device with a “non-adjunctive” indication.” Although my Tandem pump works with the G5 Mobile CGM System, it is technically not part of the system according to Medicare. Some Tandem pumpers have also been told by Tandem that the X2 is currently not approved by Medicare to be used as a Dexcom G5 receiver. I continue to be optimistic that Medicare regulations regarding the Dexcom G5 will be changed to allow use of a smartphone and use of the Tandem X2. I have no predictions for a timetable for those changes. In the short run I am still using Dexcom supplies purchased before Medicare and continue to use my iPhone, Apple Watch, and Tandem X2 pump. In the long run I will follow Medicare regulations because CGM coverage is too valuable to risk losing that coverage. As always with diabetes, I will be flexible. Few people in the diabetes community think that this makes sense, but for now it is the rule. Most of us on Medicare are grateful for the thousands of dollars we will save annually by having our Dexcom G5’s reimbursed, but emotions are swirling. JOY for coverage. ANGER at the restrictions. ANTICIPATION that sensors will be shipped soon. DISGUST that seniors are being treated differently. FEAR that no longer can our caretakers track our numbers in real time. SADNESS that we are losing access to our phones and watches. TRUST that this policy will change. Lately I have been waking up in the middle of the night and stewing about being forced to abandon my smartphone and Apple Watch as Dexcom receivers. I worry about whether I will be able to integrate my G5 into my t:slim X2 insulin pump once the the Tandem software is approved. In the light of day I try to sort through my feelings knowing that I shouldn’t lose sleep over this. Mostly I feel frustration because it is a stupid ruling that I have little recourse to challenge. There is sadness because I really like my having CGM number on my watch. There is the sense of loss taking away something that I once had. And not to be ignored is the spoiled-child syndrome that “I want what I want when I want it!” and it’s unfair that others have it and I can’t. Another emotion I do not have is fear. I currently neither use the Share app nor need someone alerted to my highs and lows. But others are dependent on a caretaker monitoring their BG levels and their safety is jeopardized with the denial of cell phone use. Some Medicare recipients have disabilities such as low vision that make the larger screens and adaptability features of smartphones a better choice than the small screen of a Dexcom receiver. When my reasonable brain takes control, I know that I will survive using my Dexcom receiver. That is all I had for the first seven years of my nine years using a CGM. I don’t have medical reasons that my iPhone and Apple Watch are better than my receiver. In fact I prefer dismissing alerts on the receiver because I can just push the button and not even look at the number! BTW that is a bad thing…. On the phone, I need to scan my fingerprint, tap on the alert, and go to the Dex app to dismiss it. I will miss automatic syncing of my G5 numbers to Dexcom Clarity, Tidepool, mySugr, and other apps, but I will survive. 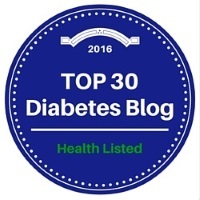 My blog was started in the spring of 2013 and quickly became known for advocacy for Medicare Coverage of CGM’s. If at any point we had been offered the possibility of CGM reimbursement contingent on no smartphone use, we would have jumped at the chance. What we’ve got now is not perfect but it is thousands of dollars per year better than nothing. Right now I think a lot of my stress comes from just not knowing what is going on. Through the early months of working out the logistics of Medicare, Dexcom did not do a good job of communicating with seniors. Some people were getting email updates. Others of us called Dexcom numerous times to be put on “The List” and never received any information. Seniors are still being told different things by different representatives from Dexcom, DME suppliers, pump companies, and medical professionals. Fortunately there is now some information on the Dexcom website but it does not answer all of my questions. I will definitely have an easier time coping once I know the rules of the game along with hardware and software modifications. For the most part I am resigned to the Medicare restrictions and am working to accept them. In the short run I think we need to get Medicare reimbursement established before fighting the smartphone ban. Others disagree with me and are making calls, writing letters, starting petitions, and even hiring lawyers. And that is good because although patience is sometimes the best strategy, other times anger and in-your-face advocacy are the only way to force change. Note: This blogpost only addresses the smartphone ban for Medicare coverage of the Dexcom G5. There are other problematic policies such as only 2 test strips per day being provided to CGM users. Those issues are in the wait-and-see category and worthy of discussion another time.